The Banksia Award is for Good Service in the Local Area, Region, State, National. The descriptor and delegations guideline is in the table below. Recipients of this Award provide service to their Guiding community through consistently achieving the outcomes of their primary role as well as providing support to other volunteers and the broader Guiding community at the local or state or national level. They take on extra duties and roles in support of the organisation. Recipients support the policies and procedures of Girl Guides Australia and develop Guiding by encouraging, supporting and contributing to information sharing and skills of the Adult Members. Those recognised with the Banksia Award are a role model to Guides, Volunteers and the local community, consistently living the Promise and Law and abiding by the Code of Conduct. Recipients of the Bar to the Banksia are recognised for their extended continuation of excellent service in the Banksia classification. Who can make the nomination for an adult member to receive this award? Any Adult Member of a State Girl Guide Organisation or an individual member of Girl Guides Australia. Who can approve the nomination? The relevant Manager, Chairperson, or Commissioner of the nominee who has the most relevant and recent knowledge and awareness of their skill, capacity and service given. Who verifies the Award when conferred? 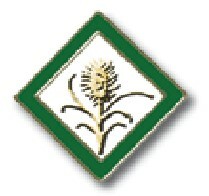 The Banksia: silver bar with green edged lozenge depicting a banksia on a cream background.